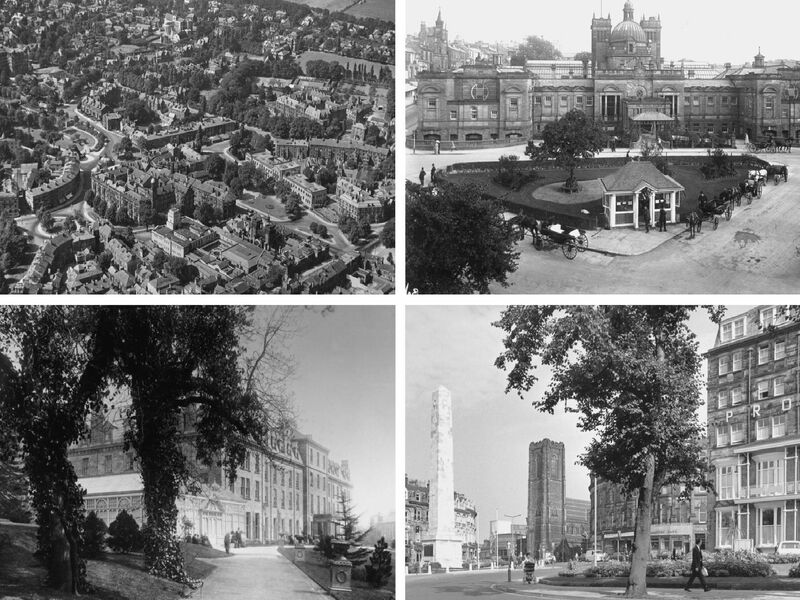 Today we turn back the clock to showcase how Harrogate has changed down the years. Harrogate's station square with the monument and gardens. Harrogate Hydro, later to become the Old Swan Hotel. It was here that British crime novelist Agatha Christie was found, following her eleven day disappearance in 1926. The Royal Pump Room and Old Sulphur Well. A busy street in Harrogate, Do you know which one?